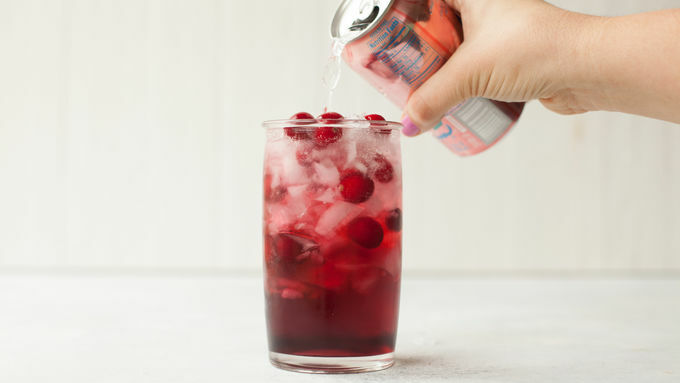 Most cranberry juice sold in stores is actually a blend (cranberry-apple or cranberry-grape most often)—those will work fine in this recipe, but if you’re looking for the sour mouth-pucker of pure cranberry juice, you can normally find it at specialty health food stores. Fresh cranberries can be hard to find outside of the Thanksgiving holiday seasons—but they freeze great! 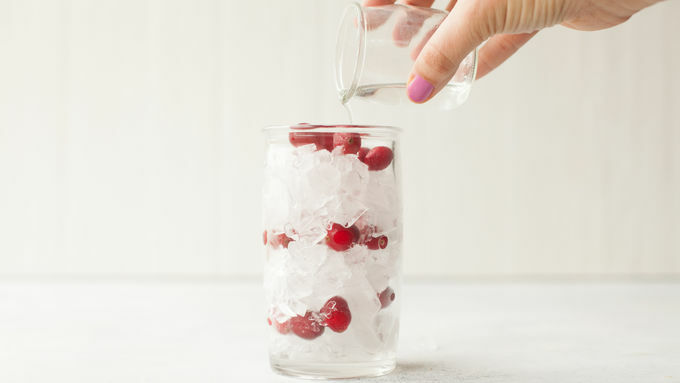 So next time you spy some fresh cranberries at your grocery store, stock up, pop ‘em in the freezer, and use them as “ice cubes” in your summer cocktails. You can also buy frozen cranberries in most grocery stores year-round. 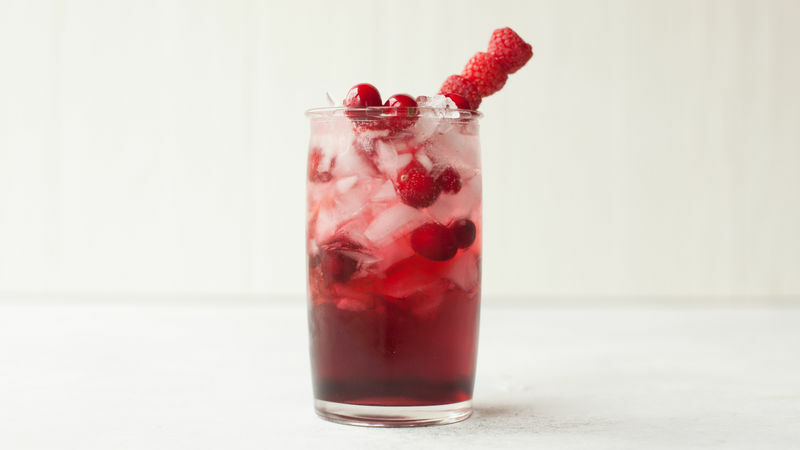 This fruity cranberry-raspberry cocktail is light and fresh enough to drink on the hottest summer day, but versatile enough to serve all year round. Toss in some blueberries for Fourth of July. Add some apple juice and apple wedges for Fall. Throw in a sprig of rosemary for Christmas. You’ll love it no matter the season!